Ngian Siew Siong (far left) exchanges a collaboration agreement with Goh Chye Boon. Witnessing the signing are Tan Sri Jeffrey Cheah (second from left) and Dr Lee Boon Yang. PETALING JAYA: Sunway City Bhd (SunCity) has inked a collaboration agreement with Sino-Singapore Tianjin Eco-City Investment and Development Co Ltd (SSTEC) for a RM5bil eco-themed project in Tianjin Binhai New Area in China. The integrated development on 110 acres within the 30 sq km Tianjin Eco-City will be a 60:40 joint venture between SunCity and SSTEC. SSTEC, a 50:50 joint venture between a Chinese consortium led by Tianjin TEDA Investment Holding Co Ltd and a Singapore consortium led by the Keppel Group, is the master developer of the eco-city. 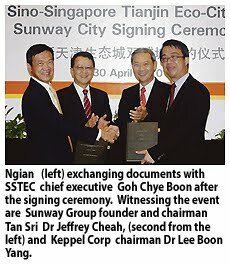 Signing on behalf of SunCity yesterday was international property development division managing director Ngian Siew Siong while SSTEC was represented by chief executive officer Goh Chye Boon. The signing was witnessed by SunCity chairman Tan Sri Jeffrey Cheah and Keppel Corp Ltd chairman Dr Lee Boon Yang. According to Ngian, the development would comprise 90% residential component or about 5,000 residences and some commercial properties, including a retail centre. It will have an estimated gross development value (GDV) of RM5bil. The houses will mostly be medium-range condominiums of 900 to 1,200 sq ft priced at about RM500 per sq ft. The project is expected to take off in the first quarter next year and will take five years. It will start contributing to SunCity’s earnings from 2012. Ngian said Tianjin Eco-City was currently the largest eco-city being developed in the world and it was expected to have a population of 350,000. “As the first eco-city in China, the aim is to promote an ecologically and socially sustainable environment, and be a model for sustainable development for other cities in the future,” he added. Ngian said the company’s development would be based on the lifestyles of health and sustainability philosophy that would elevate the green status of the city. He said SunCity, which was a pioneer in developing green buildings in Malaysia, was the only local developer to be selected for the project. The other regional developers include Keppel Land of Singapore, Farglory Group of Taiwan, Shimao of Hong Kong, Mitsui Fudosan of Japan and Vanke of China. With a fast growing middle class population and high urbanisation, China will be one of the biggest foreign markets for SunCity. Projects from there were expected to make up more than 50% of the company’s foreign earnings in the coming years, Ngian said. SunCity’s maiden project in China, the 17-acre Sunway Guanghao project in Jiangyin, is targeted for launch by June. The project, comprising medium-end condominiums and specialty shops, has an estimated GDV of RM492mil. It is a 39:26:35 joint venture between SunCity, SunwayMas Sdn Bhd and Shanghai Guanghao Real Estate Development Group Co Ltd.
Property developer Sunway City Bhd (SunCity) hopes to commence talks with Singapore's Keppel Corp Ltd over a possible future collaboration, following its agreement to jointly develop a RM5 billion residential project in Tianjin, China. "Keppel is a global player and we would like to work with them on their projects internationally. "There is no serious discussions as yet," SunCity international property development division managing director Ngian Siew Siong said. SunCity yesterday signed a collaborative agreement with Sino-Singapore Tianjin Eco-City Investment and Development Co Ltd (SSTEC) to develop the project on 41ha, which is within the 3,000ha Tianjin Eco-City integrated development. SSTEC is the master developer for Tianjin Eco-City, a 50:50 joint venture between a Chinese consortium led by Tianjin TEDA Investment Holding Co Ltd and a Singapore consortium led by Keppel Group. Ngian said the new project will create a platform for more collaborations for the firm, especially with Keppel in future. SunCity has completed a six month feasibility study and a business model for the 41ha project. A 60:40 joint venture company between SunCity and SSTEC will build 5,000 units of luxury homes comprising bungalows, villas, semi-detached and terraced houses and low-rise condominiums. There will also be a street mall with small office home office (SOHO). Ngian said the five-year project will incorporate the concept of lifestyles of health and sustainability (Lohas) and sell mainly in the Chinese market. Lohas is a concept dedicated to promoting and improving health and fitness, environment, personal development, sustainable living and social justice. "We are bullish on the market as this is the first-of-its-kind Lohas-centric development in China," Ngian said. He added that houses in the first phase of construction, which will start early next year, will be priced from RM500 per sq ft. The project will be funded through bank borrowings. MALAYSIA’S hospitality industry can look forward to stronger growth as there is room for more niche facilities. In the next three years, the industry will see the addition of about 5,600 new four-star and five-star hotel rooms. New facilities such as limited service hotels and service apartments are also expected to come on-stream. Association of Valuers, Property Managers, Estate Agents and Property Consultants in the Private Sector (PEPS) president James Wong believes the tourism market is bound for healthy growth as there is a need for more hotels and related facilities. “The fastest growing markets are expected to be China and India, and as there are more budget travellers from those countries, we will need to build more affordable yet good quality accommodation including no-frills hotels,” he says. Previndran Singhe says low-cos carriers have boosted tourism. Zerin Properties chief executive officer Previndran Singhe says low-cost carriers have boosted the tourism industry. He says the country’s competitive rating has made it one of the most popular value-for-money destinations in the region. Previndran says to continue attracting tourists into the country, air fares and travel packages must continue to remain competitively-priced. Citing Malaysia’s ranking in the Travel & Tourism Competitiveness Report 2009, he said there is opportunity for more varied hospitality products and established brands to come into the country. These include spa resorts, premium hotel groups, branded budget facilities and heritage and eco-friendly facilities. Knight Frank Research, in its latest Real Estate Highlights, says some of the proposed hotels in the capital city include a boutique hotel in KL Sentral, a 200-room Dorsett Regency business boutique hotel in Sri Hartamas, a 7-star Palace Residential Suite at the Mines Resort City with 430 suites, and a business or 5-star hotel from the redevelopment of Bangunan MAS along Jalan Sultan Ismail. Other upcoming projects include the redesign, renovation and rebranding of the Crown Pricess Hotel as Doubletree, an upscale hotel brand under the Hilton group. Schedule to open in the second quarter, Doubletree will form part of The Intermark, a mixed-use property development in KL. Concorde Hotel Kuala Lumpur will undergo a RM40mil facelift over the next three years. The 502-room Grand Dorsett Subang (formerly Sheraton Subang Hotel) was opened last October after a RM60mil renovation and refurbishment exercise. One of the trends in the local hospitality market is the growing popularity of service apartments as an alternative to hotels, especially for long stay visitors. “With relatively lower rates and more living space, including facilities for light cooking, service apartments are suitable for longer-term stay. This suits newly posted expatriates who need a few months accommodation as they search for a permanent residence,” says Wong. Home-grown hospitality brand, Fairlane Hospitality, which manages Fairlane Residences in Bukit Bintang and myHabitat 2 service studios at Jalan Aman, sees potential to grow into a bigger hospitality company. Ariff Ng at the myHabitat 2 service apartments. General manager for area operations and business planning, Ariff Ng says well managed service apartments with good facilities are still in short supply. “Fairlane Hospitality offers a truly Malaysian hospitality service that is set to redefine business and executive travel. “Each apartment unit is designed with high quality fittings and furnishings that include a fully equipped kitchen with cooking implements, cutlery and clothes washer-dryer,” says Ng. The company’s main target market is business travellers, corporate executives and families on vacation. The myHabitat 2 service studios is a project by Asia Pacific Land Bhd and is expected to be completed in the third quarter of this year. The studio and two-bedroom apartments, with a built-up of 600 sq ft to 1,140 sq ft, are priced from RM760,000 to RM1.3mil. Should house buyers be wary? Property consultants say the recent price rise in properties in select locations reflect pent-up demand after the market slump in the first half of last year. Should house buyers be wary of rising property prices? Anecdotal evidence seem to point to significant price increases in the Klang Valley and Penang although the National Property Information Centre report for 2009, which was released on April 23, noted that residential property prices remained stable for the year. The all-house price index, which is a gauge of national prices, saw a gain of only 1.5%. Several property consultants say the recent price rise in properties in select locations reflect pent-up demand after the market slump in the first half of last year. They also say that the Malaysian residential property market sentiments are, while not immune to global economic factors and price movements, largely driven by house buyers here. It was recently reported that the uptrend in property prices was driven by easy financing schemes offered by banks in partnership with developers and that this had led to some speculation in the market. However, the consultants feel that any increase in property prices will still be selective and overall prices will not rise drastically but gradually. Paul Khong says prices for the luxury condominium sub-segment of the residential property market, are still between 10% and 20% below the market’s peak. CB Richard Ellis Sdn Bhd executive director Paul Khong says there have been some price increase but only for landed residential properties and in selected locations. “Over the past one year, residential landed property prices have gone up 15% to 20% in good locations in and around Kuala Lumpur and Petaling Jaya,” he says. Khong says prices for the luxury condominium sub-segment of the residential property market, are still between 10% and 20% below the market’s peak. This sub-segment has been badly hit by the financial crisis as a considerable portion of sales are to foreigners. The number of foreign property buyers have dropped since early last year. Khong feels that fewer launches and higher demand will affect the prices of landed residential properties. 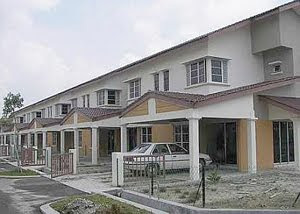 Ching says property launches have been moderate after bottoming out in the first quarter of 2009. This trend was in line with on-the-ground observation of developers preferring to launch in smaller parcels. “We expect moderate growth in property launches to continue in 2010. This is supported by declining building plan approval,” he says. Ching says the last quarter of 2009 was a record quarter for both the residential and commercial segments of the property market despite the uninspiring set of numbers for the year as a whole. He says in 2009, the residential segment recorded a marginal improvement in overall transaction value of 1.3% to RM41.8bil while the commercial segment contracted marginally by 1.4% to RM16.4bil. Dr Teoh Poh Huat says the recent property price increases reflect the different economic fundamentals at play compared to a year ago. 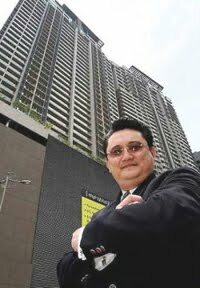 Henry Butcher Malaysia (Penang) Sdn Bhd director Dr Teoh Poh Huat says the recent property price increases reflect the different economic fundamentals at play compared to a year ago. He says the property market is driven by the sentiments of Malaysian buyers although these buyers may take into consideration factors at the macro or global levels. “But these factors are short-term whereas investing in property is long-term,” Teoh says. He says the significant increase in transactions for the first quarter of this year is a reflection of these sentiments following an unexpected expansion of the economy in the final quarter of 2009. “Confidence in the economy is quite strong. There is liquidity due to pump-priming measures as well as the high savings rate in the country. This is reflected in the transactions,” Teoh says. In 2007, Ken Holdings Bhd executive director Sam Tan unveiled the company’s then-latest project Ken Bangsar, a residential development in Bangsar, Kuala Lumpur. He said that building would be a trendsetter but he did not say in what way. Fast forward 2010. On April 26, Tan was among several recipients of Malaysia’s Green Building Index (GBI) award (design assessment stage). It will have to submit an application for a second stage (completion and verification) later on. After that, there will be three-yearly audits to maintain its GBI rating. GBI’s four rankings are based on the point system - Certified is the lowest (50 to 65 points), Silver, Gold and Platinium (> 86 points). Ken Bangsar was classified a Gold (76 to 85 points). The building also has Singapore’s Gold Mark. There were other GBI recipients: Kajang Resources Corp Sdn Bhd (for KRC Sales Gallery, Kajang, Selangor), Bandar Utama City Corp Sdn Bhd (office block 1 First Avenue, Petaling Jaya), Central Holdings Bhd (Menara Worldwide KL) and Sunway SPK Homes Sdn Bhd (3 Harmoni residential, Kepong, Kuala Lumpur). Past president of Persatuan Arkitek Malaysia (PAM) and GBI accreditation panel member Dr Tan Loke Mun also received an award for his home. The GBI is Malaysia’s rating tool for buildings to promote green living and working. Green living is more than the location of your home or office. It is the type of buildings you inhabit. Essentially, green living is pretty much based on that famous quote: “A penny saved is a penny earned.” Hence, a kilowatt saved is a kilowatt earned. Put another way, the cheapest – and greenest – energy is the energy you never have to use. All the green building standards around the world have different emphasis. Singapore’s Green Mark is on energy efficiency because it has a small land mass and is dense. GBI’s emphasis for residential segement is on sustainable site planning and management because developers keep building new townships that is not supported by public transport system while the commercial segment is energy efficiency. GBI was launched in May last year, four years after Singapore’s Green Mark. Says one of the proponents of GBI, Loke Mun: “The GBI is a sort of check-list. It is a rating tool to give developers and owners an opportunity to adhere to a set of guidelines in their design and construction that can provide energy and water savings, a healthier indoor environment, better connectivity to public transport and the adoption of recycling. “Simply put, it is like a recipe that lists out all the ingredients needed to make a good dish,” he says. The thrust of GBI is to have buildings, designed, constructed and fitted out in such a way that will help to reduce wastage of every form. Having our own green standard is inevitable. For a commercial building, the bulk of its operating and maintenance cost comes from energy usage, or air conditioning. Water wastage is another issue; having an abundance of rain does not mean it is all right to waste water. Ikea, the Swedish furniture brand, was among the first to have a rain harvesting system. The professional bodies that initiated the GBI are PAM and the Association of Consulting Engineers Malaysia (ACEM), which came together in August 2008 to form a sustainability committee to undertake the task of setting up the Green Building Index Sdn Bhd. While GBI is issued by a company, Singapore’s Green Mark is issued by the government. In Malaysia, there are currently two tools – a GBI for residential buildings and one for non-residential. While the Government does not plan to make it mandatory for new buildings to be green-compliant in order for its certificate of fitness to be issued, unlike Singapore, having a tool like GBI will encourage the more responsible developers to go for sustainability. (In Singapore, new buildings must have the Green Mark before its certificate of fitness can be issued). While the above two are for new buildings, there is also a need for a rating tool to rate existing buildings. Over the week, Energy, Green Technology and Water Minister Datuk Seri Peter Chin Fah Kui unveiled a variation of the GBI, to rate existing buildings. Tan says every year, depending on the country, new buildings are added to the stock of buildings a country has. In Malaysia, about 5% to 15% are added to its current stock. This means about 85% of the existing stock are old buildings. Already, the more responsible developers are retro-fitting their old buildings and among the chief aims is to save energy.